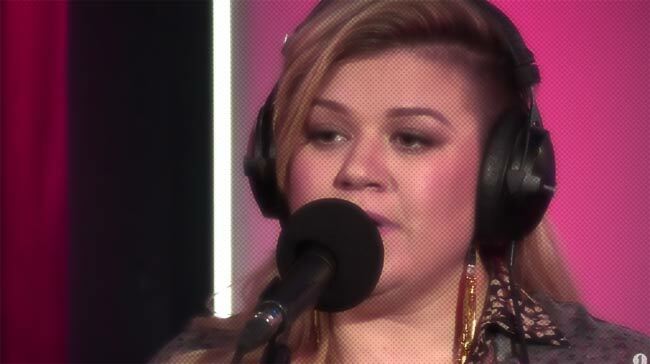 Diva Devotee: Kelly Clarkson Covers "B*tch Better Have My Money" For Radio 1's "Live Lounge"
Kelly Clarkson Covers "B*tch Better Have My Money" For Radio 1's "Live Lounge"
I LOVE Kelly Clarkson for doing this! Maybe even more so than I did for her covering my beloved Mariah Carey. Rihanna's B*tch Better Have My Money managed to smother all my good senses and worm its way into my affections after its release a few months back. And it warms my soul to know it managed to do the same thing to powerhouse vocalist Kelly Clarkson! I mean, she has Jesus on her side and still couldn't resist! What hope did I have?! The cover, recorded for Radio 1's Live Lounge, is ultimately too sweet for me, though. If you're going to sing a song that is 100% built on swagger, you're going to have to come harder than this for it to really work. But that doesn't mean I didn't appreciate Kelly showing the ratchet anthem a little love. If anything, it offers further insight into the Diva's own eclectic musical tastes. And that's always fun to see.